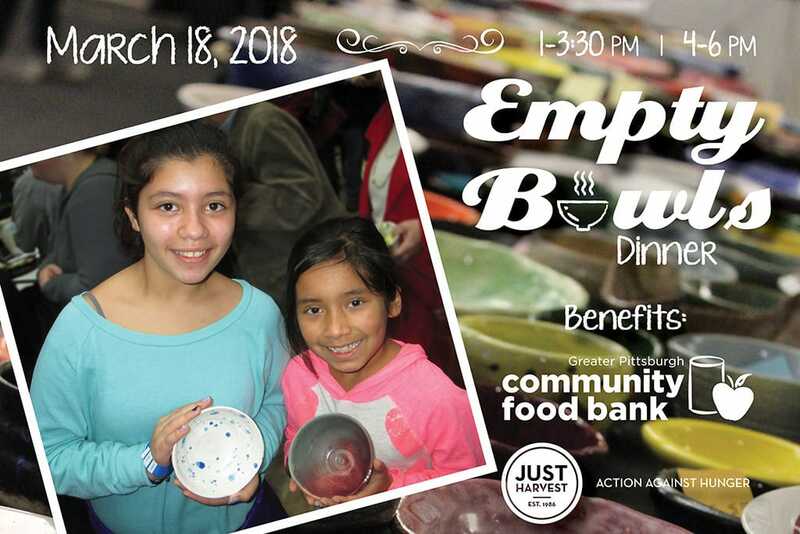 The annual Empty Bowls is a simple community meal of soup and bread to help remind people of the one in eight residents of Allegheny County who are facing hunger. 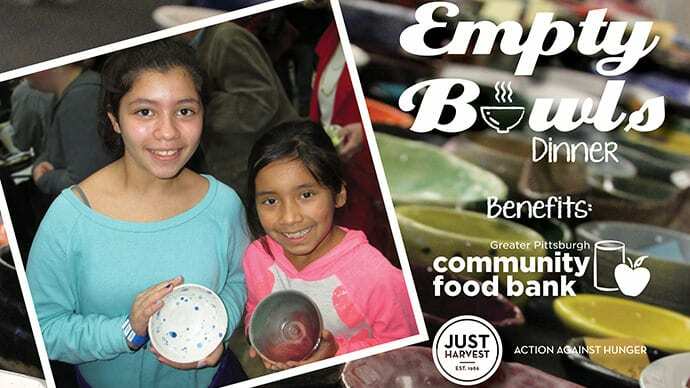 Pittsburgh’s Empty Bowls typically draws more than 1,500 people and in its past 20 years has raised more than $500,000 to fight hunger in our region. This marks the 23rd year that Just Harvest and Greater Pittsburgh Community Food Bank will co-host the event. Funds raised will benefit both organizations equally. Seating 2: 4:00pm – 6:00pm — Advance price tickets will be available online until 3pm. After that, purchase at the door.